Jack Taylor retired in 1997. 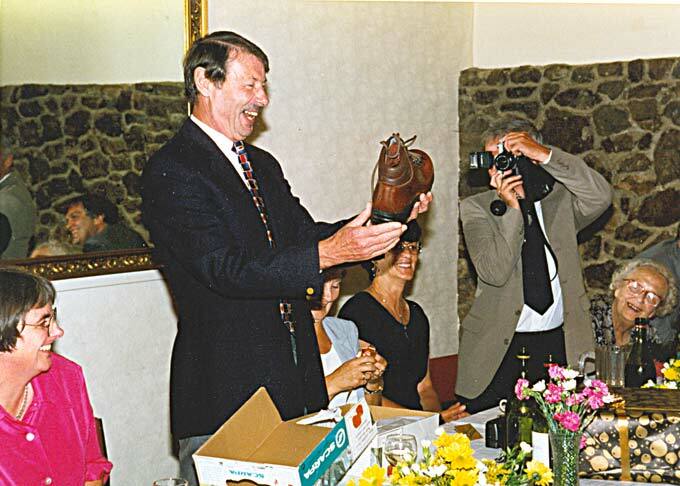 In this photograph, he is presented with a fine pair of walking boots. Left to right: Mrs C Watkins; Mrs J Taylor; Mrs D Bush; D Bush (photographer); Mrs Jessica Taylor.